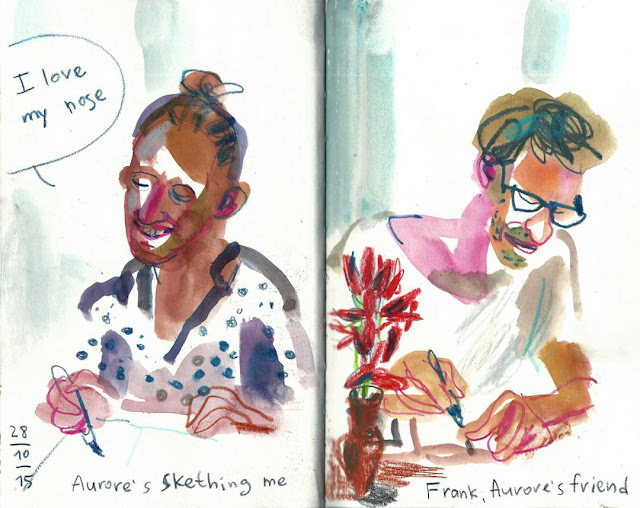 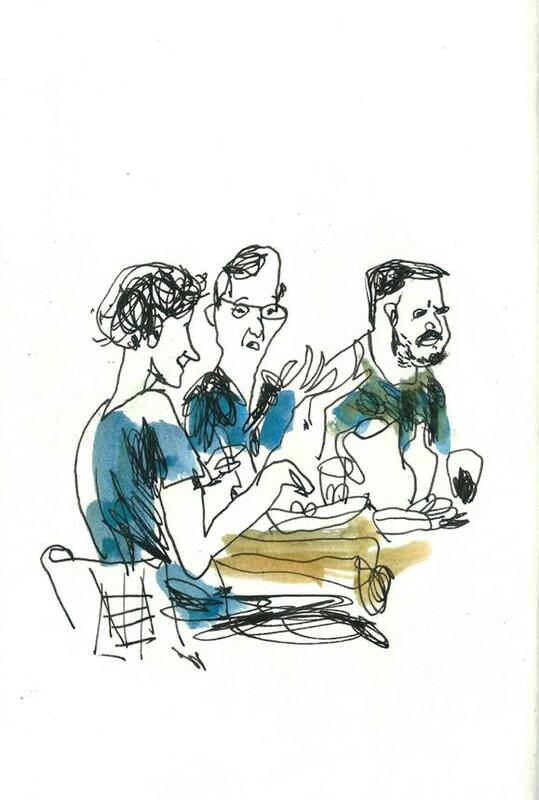 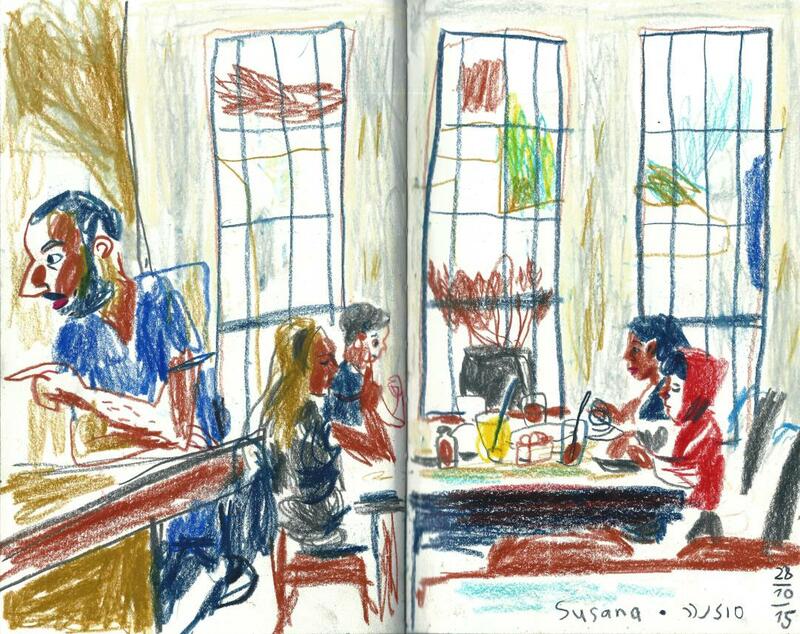 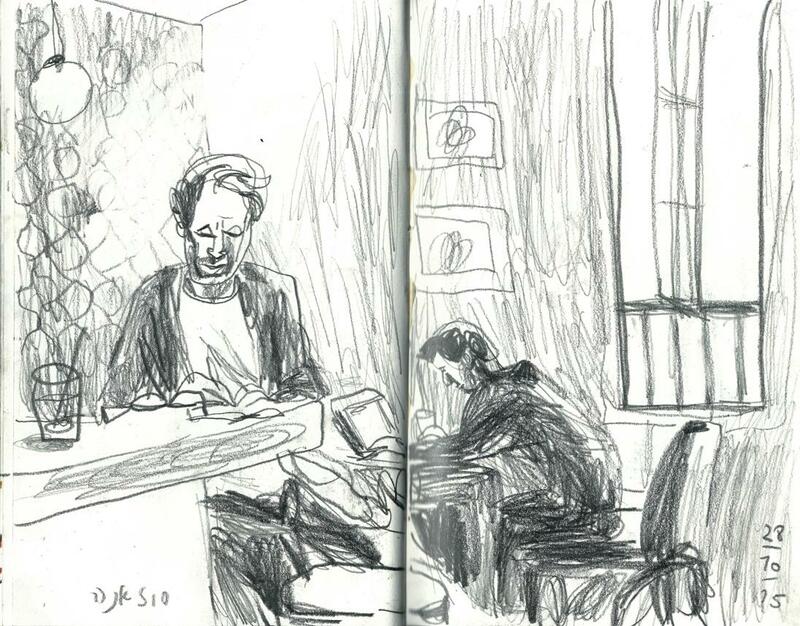 Here are some sketches I did during our small drink&draw we had with with a bunch of friends-sketchers in "Suzanna" - coffee shop at Neve Zedek. 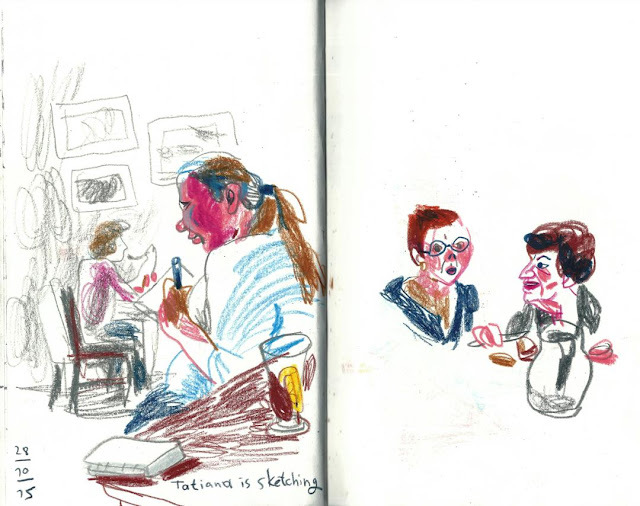 Few hours flied as a one minute - I think I could do it all the day along - chatting, drinking and sketching with my friends. 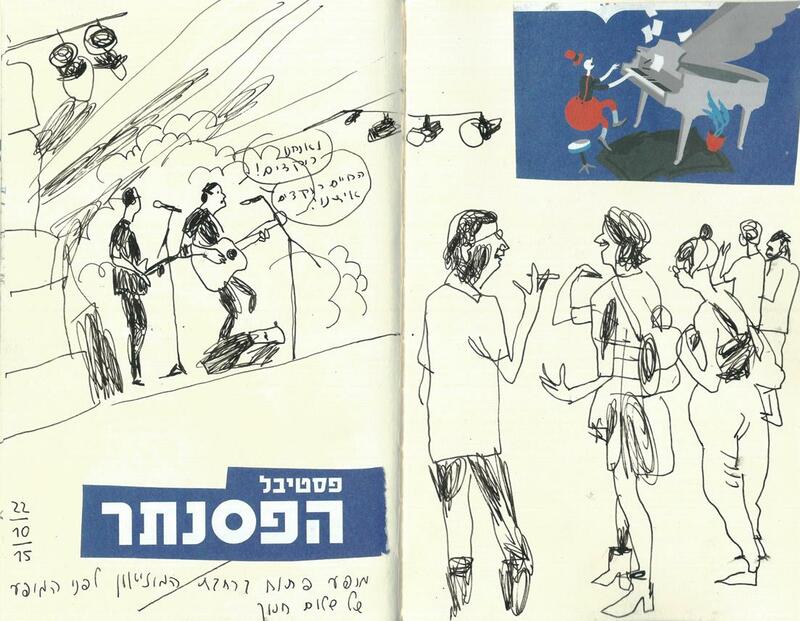 Here are some sketches I did yesterday at the Piano Festival in Tel Aviv. First one at the open to the public show before the concert - i didn't have much time to sketch, but believe me - there were a lot of people, listening to the music, chatting, singing and even dancing! 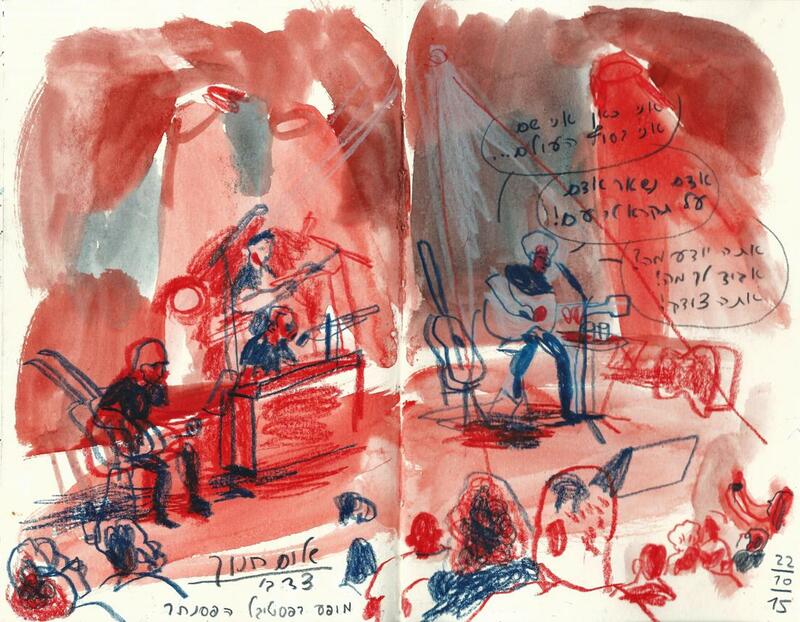 Almost forgot - the concert was really great, live music is real magic as always! 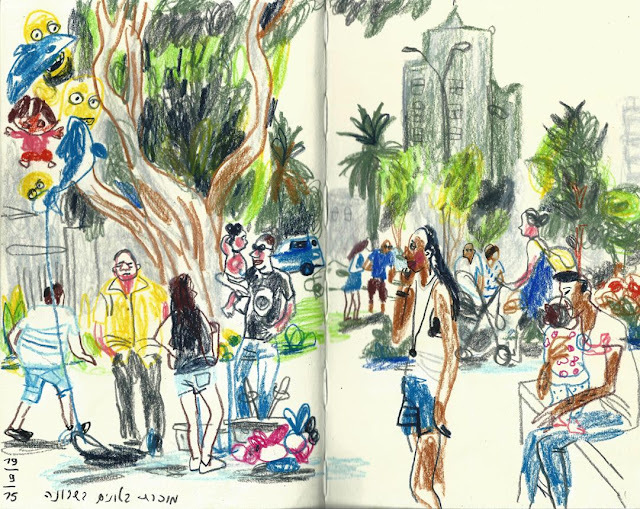 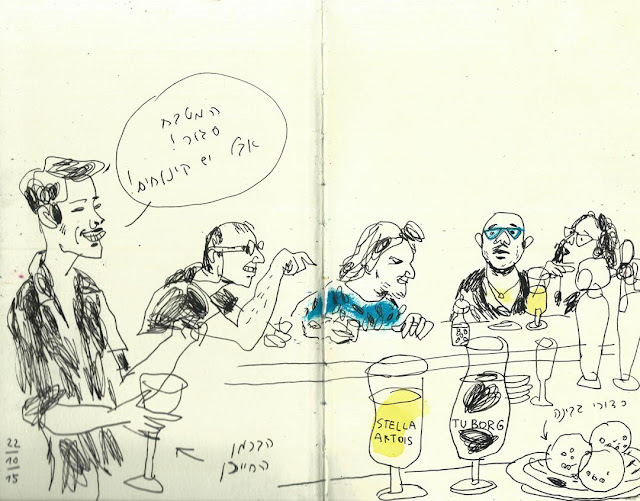 So what we had during our last sketchcrawl in Sarona - perfect weather, a lot of sketchers that came despite to the "situation" - old friends and new faces, one international guest from New Zeland - Scott Wilson, and a lot of stuff to sketch around. It was really fun! 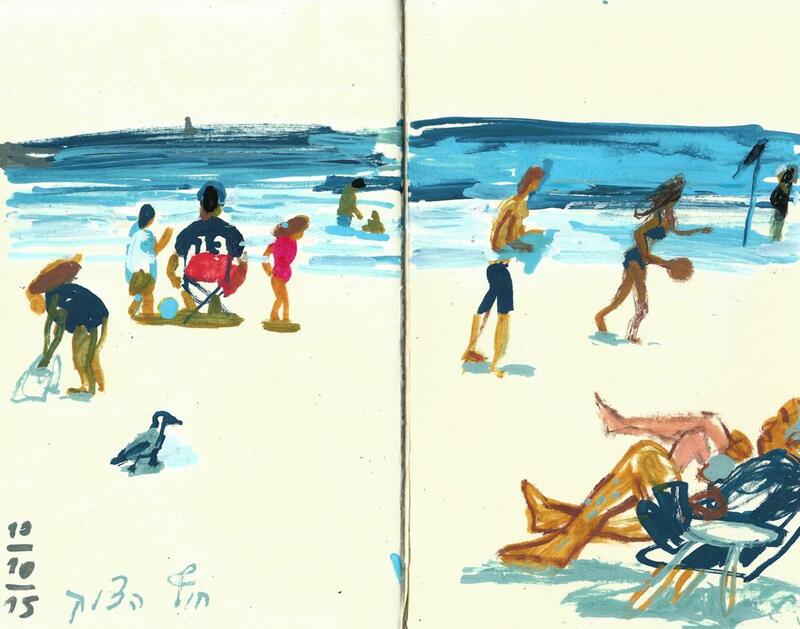 Today we had a perfect beach day - Israel Indian summer is the best for enjoying the sea. 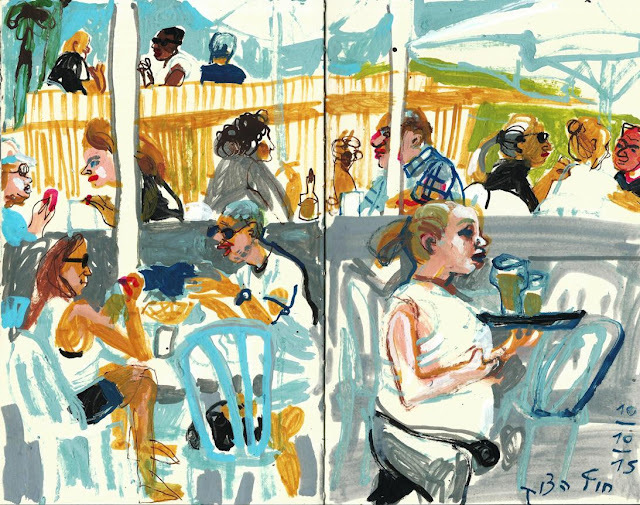 I brought with me my markers which I didn't use for a while, it was fun!